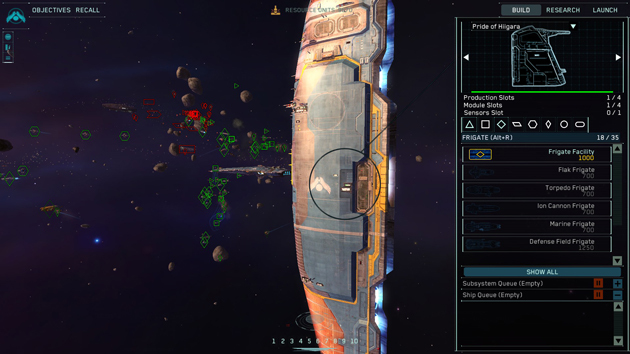 Homeworld: Remastered Collection, the revival of the much-loved strategy games from 1999 and 2003, launches tomorrow. Texas-based Borderlands studio Gearbox Software rescued the titles from obscurity after a decade of legal red-tape and spent the last two years remastering the games for modern machines. Gearbox made a similar play with the long-in-development Duke Nukem Forever. This is no Duke Nukem Forever. Thankfully. For those who unfamiliar with Homeworld: it's a 3D real-time strategy title that was a revelation to a generation of PC gamers raised on Starcraft and Command & Conquer. 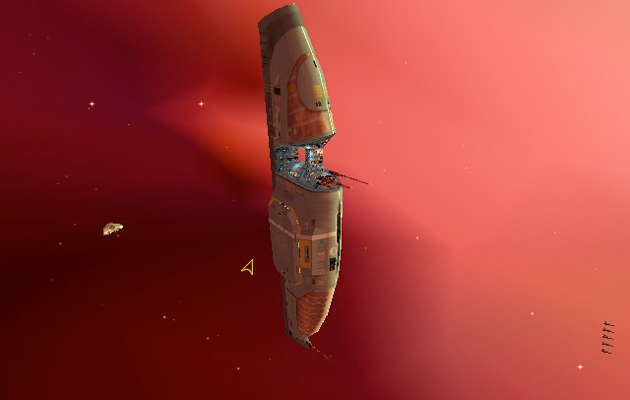 Unlike those isometric games, which saw you fight battles on a horizontal plane, Homeworld let you fight battles in three dimensions. That way, you could move your ships to attack enemies from above, below, or -- more frequently -- both. When it was announced that Gearbox Software had taken on the job, there was some nervousness on behalf of the fans. After all, the studio had taken plenty of heat for high-profile flops Aliens: Colonial Marines and Duke Nukem Forever. Wisely, Gearbox resisted the urge to tamper with the game beyond the much-trumpeted graphical refresh. That's mostly a good thing: fans might have resisted any major change to the game they already know and love. 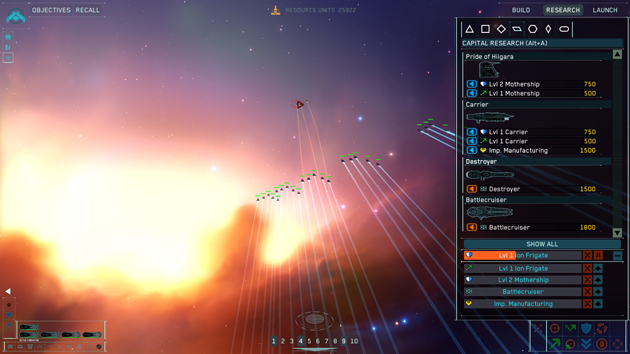 Homeworld: Remastered isn't just prettied up visuals, though. The most notable change is the re-built UI, which now behaves the same way in both titles. It semi-transparently floats over the action, rather than the solid-color frame that fans will remember. The other change is to unify the multiplayer module and break it out into its own game, although you can still play skirmishes against the game's AI inside each game. The package also comes with the "classic" versions of both games, which I'm sure you'll take a look at once, recoil in horror, and never open again. Looking at these games now on a HD screen and with the benefit of hindsight, you'll realize that your memory was playing tricks on you when you remembered the game being beautiful. In the same way you can never watch a VHS tape after you've seen your first DVD, the original games now almost offend the eye. You see, Gearbox's hands-off approach to the game has meant that some of the original bugs and flaws remain. For instance, in Return to Kharak, there's a bug that prevents you from jumping to the next level if you capture two attack frigates or manage to save all six cryotrays. It's sufficiently notable that even game walkthroughs mention it to avoid you making the same mistake and yet it remains there, 16 years later. I don't know if there were technical reasons behind this, but the graphics upgrade doesn't stretch to improving the capital ship explosions. In the original, when you went all-out on an enemy carrier, mothership or shipyard, small fires would begin to break out across the surface. There is no greater joy than to zoom in your camera up close and watch the ship slowly burn itself out from the inside. Unfortunately, when the ship actually explodes, the area around it flashes to solid white -- a theatrical bait-and-switch as the ship model is replaced with pre-rendered debris. It's the digital equivalent of the old-timey special effect where a magician would let off a smoke grenade, the camera would pause, and the magician would walk off screen. I'm sure it would have been difficult here to implement a more detailed effect here, but it would have been utterly fantastic to watch the ships break apart in agonizing detail. Homeworld and Homeworld 2 are a pair of beautiful, clever, groundbreaking games that deserve to be played. Their place in history is assured and they sit cheek-by-jowel alongside Doom, Goldeneye N64, Red Alert and Half-Life as generational touchstones. If your entire experience of real-time simulation games begins and ends at Starcraft, then I cannot recommend this to you enough. If you already love the game and just want to know if Gearbox have fucked it up, then I can reassure that no, it hasn't. If you already love the game and just want to know if Gearbox have fucked it up, then I can reassure that no, it hasn't. No matter how polished and beautiful these games are, the point deserves repeating that the biggest, newest 3D space-based real time simulation is a remastered edition of two titles that are 16 and 12 years old. Fundamentally, bringing them back is valuable, great work, but it only serves to remind players of what they aren't getting today. 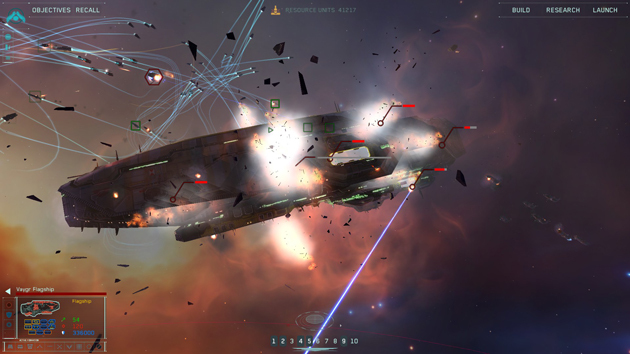 The Homeworld: Remastered Collection is the opiate you'll use to get between fixes of the good stuff. There's no guarantee that Gearbox will make a sequel unless this offering is wildly successful, but having played it for the last week or so, I've now got a very particular desire for Homeworld 3. - Those who know that I've been reviewing this game have asked me one question over all others: does prog-rock tunesmith's Yes' The Ladder remain in the game? Unfortunately, due to licensing issues, the song has been cut, but to soften the blow, it's embedded below. - I had entirely forgotten how much Barber's Adagio for strings is played in the early stages of the game. You can either suffer through it, or do yourself a favor and grab Bear McCreary's Battlestar Galactica soundtrack albums, they work perfectly with the game. - Gearbox found the DAT tapes of the original recording sessions, and I privately hoped that maybe some alternate takes would be used. For instance, when Fleet Command relays the news of Kharak's scourging, it's delivered in an utterly emotionless monotone.